That whole "imitation is the sincerest form of flattery" isn't sitting well with the inspiration behind the classic film "Rear Window." Seems the people who own the short story that ultimately became "Rear Window" are deeply disturbed over "Disturbia" ... so disturbed they've filed suit in NYC, claiming the Shia LaBeouf flick is a blatant ripoff. When Alfred Hitchcock and James Stewart did "Rear Window" in 1954, they first commissioned the short story, "Murder from a Fixed Viewpoint." The people who own that story say "Disturbia" is a carbon copy of "Window" and therefore Steven Spielberg and Dreamworks should have also obtained permission from the owners of "Murder from a Fixed Viewpoint." 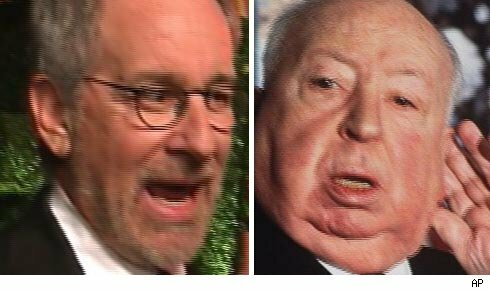 The lawsuit claims "Disturbia" and "Rear Window" stories are "essentially the same" -- a Peeping Tom watches creepy neighbor type flick -- and attacks Spielberg's "back-door use of the 'Rear Window' story without paying compensation." Calls to Spielberg's rep were not returned.